Price from 40.900 ISK PER PERSON. This one day action-packed tour takes us to the Gígjökull glacier, which is a calf glacier of the notorious Eyjafjallajökull glacier-covered volcano which erupted in 2010. During the eruption millions of litres of melted ice from Gigjökull bursting down the mountainside causing massive destructive floods on its way to the Atlantic. On the way to Gigjökull your driver will let out the throttle for some serious jeep action, including splashing through meltwater rivers, so fasten your seatbelt to experience the fun! Perhaps you will finally learn how to say Eyjafjallajökull! From the gorge we continue our tour to one of the country’s loveliest waterfalls, Seljalandsfoss. The sure-footed can walk behind the thundering cascade and perhaps discover the mythical pot of gold said to be hidden there. Then we head for a spectacular hidden canyon, with unique flora, green moss walls and a beautiful waterfall, Gljúfrabúi. After this stop we drive through places which were covered by ashfall at the beginning of the eruption which are only accessible by specially adapted vehicles. We then cross more glacial rivers on our journey to get the best view of the eruption site. Heading back towards Reykjavík we drive along the dramatic black Atlantic Ocean beaches on the way to the our last stop of the day at the impressive Skógarfoss waterfall. We reach town in good time for dinner. A light lunch is included in the Exclusive Eyjafjallajökull tour. 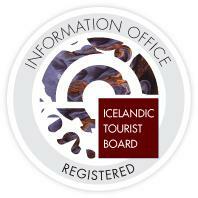 In Iceland all itineraries are designed to be flexible taking weather conditions into account. We reserve the right to change your itinerary or cancel it with your safety in mind. At Amazing tours your safety is our priority. All glacier and adventure trips are undertaken on the responsibility of its participants. Participants must be aware that all outdoor activities carry an inherit risk and are undertaken entirely at their own risk. Amazing Tours does not assume any responsibility for accidents that are caused by its customers or can be traced to their own actions.